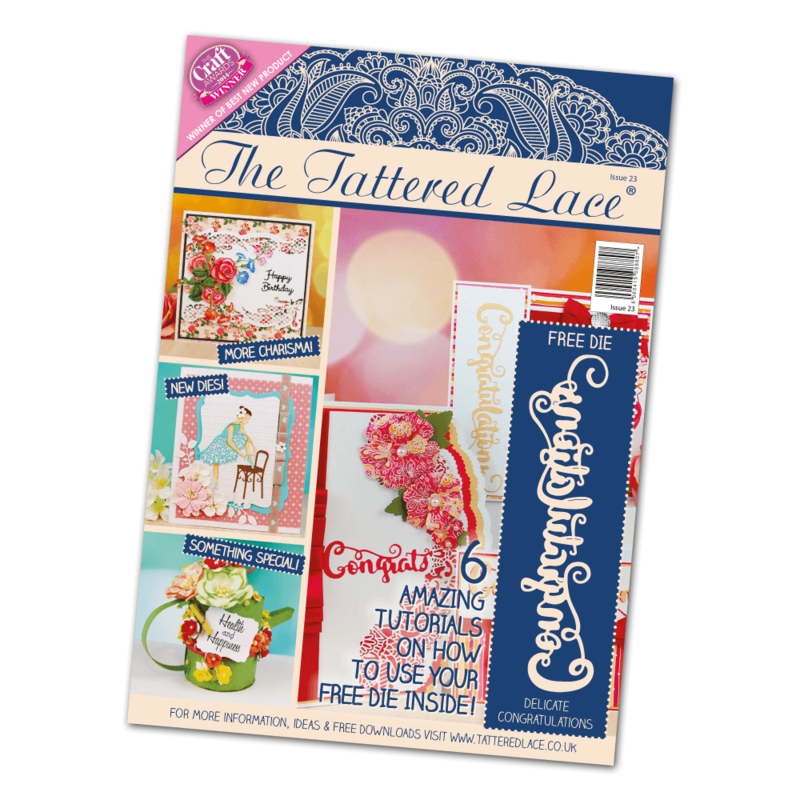 Welcome to Tattered Lace Magazine Issue 23, an issue full of fabulous projects, ideas and lots of lovely crafting! So let’s get right to the first of the free gifts! Congratulations! A great big word die that we all need, measuring a whipping 14.5cm x 3.5cm. Perfect for so many occasions and there are six, gorgeous projects to whet the appetite. There are 29 top notch projects featured in the magazine. The projects feature something for the youngsters, the not so young and something for the boys and the girls! Most of the projects use the free papers of the centre of the magazine. So, peel the Congratulations die from the front of the magazine, carefully take out the free papers and start crafting straight away!